Lauren Jauregui whose full name is Lauren Michelle Jauregui Morgado is an American singer and member of the girl group Fifth Harmony. Lauren was born to parents Michael Jauregui and Clara Jauregui. She is not the only child in the family, Lauren Jauregui has got two siblings, a sister named Taylor Jauregui and a brother named Chris Jauregui. 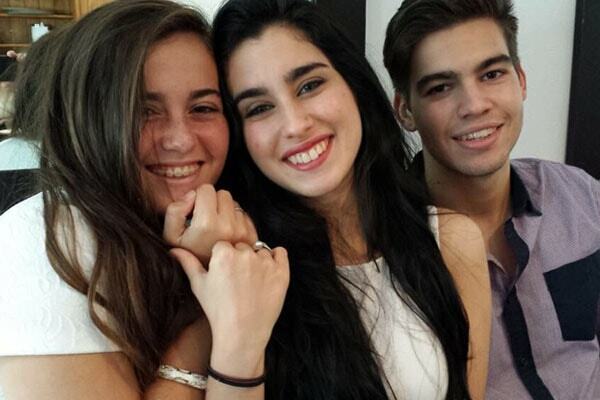 The Expectations singer Lauren has got a beautiful bond with both of her siblings and is the eldest among the three. The pretty Taylor Jauregui is the youngest one in the Jauregui family. Taylor Nicole Jauregui was born on the 5th of January, 2001. Just like her elder singer sister Lauren, Taylor also attends the Carrollton Schoool of the Sacred Heart, a private girl’s Catholic school in Miami Florida. Like any other 17-year-old Taylor also loves spending her time on social media. She loves uploading photos and videos of hers on her Twitter. With over 101K followers, Taylor is also like a social media star. And by going through her Twitter handle, we have found a lot of things about Lauren Jauregui’s sister Taylor. She loves spending time with her friends. And makes sure to wish her father and mother on each father’s and mother’s day. Plus, Taylor is also somewhat into writing and has written few poems. Besides that Taylor also has got a habit of reading books and watching romantic movies. Though for some reason she has kept her Instagram account ‘tayjaguar‘ private which has got over 4500+ followers as of December 2018. Chris is also younger than Lauren. Chris Jauregui was born on the 9th of April, 1999. There is an age gap of three years between Chris and his elder sister Lauren. Chris is currently studying at Florida State University. His full name is Christopher Michael “Chris” Jauregui. Just like his younger sister Taylor, Chris has also got a lot of fan following on his social media handles. He has got over 62.2K followers on his twitter handle “@ChrisJaureguii.’ He also loves spending time with his friends. And as for his Instagram account “chris_jauregui,” he uploads photos of himself. Though at times he uploads pictures of his elder sister Lauren stating how much he loves her. All in all, all the three siblings have got an inseparable bond between one another. 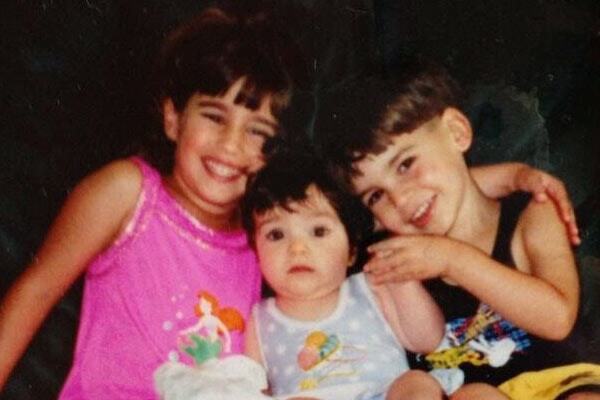 Singer Lauren Jauregui with her little sister Taylor Jauregui and brother Chris Jauregui when they were small. Image Source: Taylor Jauregui’s Instagram.